Are you ready for the Kooks??? It’s time for another British Invasion – the iconic 4-piece is on their “Best Of,” tour, celebrating the band’s legendary history and musical growth. 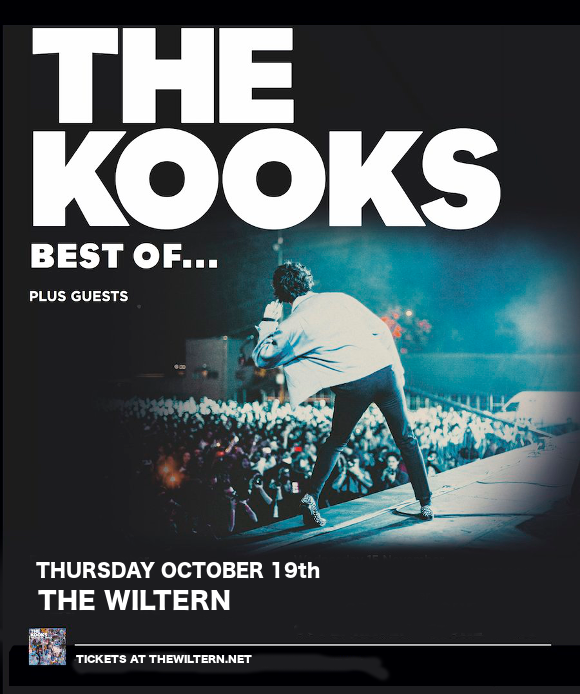 They’re hitting The Wiltern on Thursday 19th October 2017 – it’s going to be a wild night!! Make sure you’re there – hit the “Buy Tickets,” button above to be sure of your place! Formed in Brighton, England in 2004, The Kooks (named after a lyric from a David Bowie song) describe themselves proudly as a pop band, their songs described as “catchy as hell,” incorporating a wide variety of genres including Britpop, reggae, ska, rock, and in more recent times, even funk and hip-hop!! Just three months after forming the band’s innate talent was evident to all – they were swiftly signed to Virgin Records and released their first album “Inside In/Inside Out,” gaining them huge media attention in 2005, winning the MTV Europe Music Award for Best UK & Ireland. The Kooks were the hottest new band of the year, with their album going on to be certified quadruple platinum in the UK within just one year of its release!! Their next album, “Konk,” hit number one on the UK Albums chart, and with sales of 65,000 in its first week alone, was fast certified Gold in the UK and Ireland. From there, the success of the Kooks saw no signs of slowing, as they went on one tour after another, playing to delighted fans across the world. Be one of them – get your tickets today! !